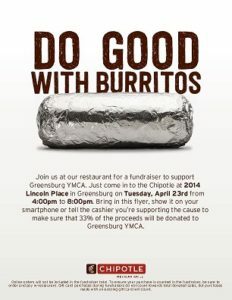 The Greensburg YMCA offers special fundraisers and partners with local businesses from time to time throughout the year. Below is a list of current fundraisers and then an update on past fundraising efforts. Please join us in these special efforts to raise money for all we serve. * YMCA T-Shirt Sale: Ongoing. 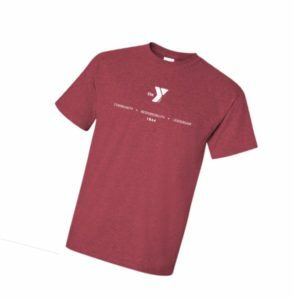 Visit our Welcome Center and purchase a YMCA T-Shirt for $20. Proceeds go toward our Annual Campaign. Thank you to everyone who participated in our BWW fundraiser; we raised $60.74 for our 2019 Annual Campaign. Together we raised $114.00 for our 2019 Annual Campaign. Thank you! Thank you to everyone who participated in this year’s Rally for the Y. Team YMCA-Greensburg logged over 385 miles and with the support of their sponsors, raised $103.51 for our 2019 Annual Campaign. Thank you to all our Y Supporters who came out for our fundraiser at Chick Fil A Greengate. We raised $29.18 for our Annual Support Campaign. Thank you to all our Y Supporters who came out for our fundraiser night at the Meadows. The Greensburg YMCA was able to earn $250 to benefit our Annual Support Campaign.